A proposed new round of UN sanctions would target Pyongyang's coal exports to China, but Beijing wants to avoid any sanctions which cause hardship for local people, Professor Hazel Anne Smith of the University of Central Lancashire's International Institute of Korean Studies told Radio Sputnik. The UN has nearly finished drafting a resolution for new sanctions against North Korea in connection with its nuclear program, Japanese Foreign Minister Fumio Kishida said Friday. The resolution would need to be approved by all five of the Security Council's veto powers, who could consider the document as early as next week. According to UN diplomats, the proposal would cap North Korea's coal exports and restrict its maritime and financial sectors, thus slashing the country's $3 billion export revenues by more than a quarter. Most of Pyongyang's coal exports go to China, which accounts for 90 percent of North Korean trade. Professor Hazel Anne Smith, Director of the International Institute of Korean Studies at the University of Central Lancashire, told Radio Sputnik that while China very much wants to stop North Korea's nuclear activities, Beijing's red line is any measure which would cause starvation for local people. "North Korea is a poor country and it's very difficult for sanctions to have a major effect on a poor country, unless you want to starve the population into submission." Famines between 1994 and 1998 led to hundreds of thousands of North Koreans, perhaps millions, dying because of a lack of food. "China is in a difficult position, it wants to give a signal to the North Koreans that, 'look we have to find a different way to solve these issues.' At the same time, it doesn't want to put the screws on North Korea so much that you have starvation again, as you did in the 1990s," Smith said. "The big new move in these sanctions is to have sanctions on North Korea's coal exports. It may be that it won't be for all of North Korea's coal exports, because if the North Koreans or North Korean businesses argue that the profits from these exports are going to support local provinces so that they can have fuel and food for their people, it might be that China will not have a complete 100 percent ban on all coal exports." Most of North Korean trade with China is low-level trade of fuel and food by small traders working on the rugged terrain along the country's 1500km border with China. 'This sort of trade is exempt from sanctions. Humanitarian trade which is meant to benefit individuals in the North Korean population is exempt from sanctions." "North Korea's trade is very small indeed on any scale, relatively or absolutely, and the sorts of trade that will be affected by these sanctions is going to be very, very small simply because the volume of trade is small," Smith said. Since it conducted its first nuclear weapons test in 2006, North Korea has faced five rounds of UN sanctions, most recently Resolution 2270 in March this year after the detonation of a hydrogen bomb in January. 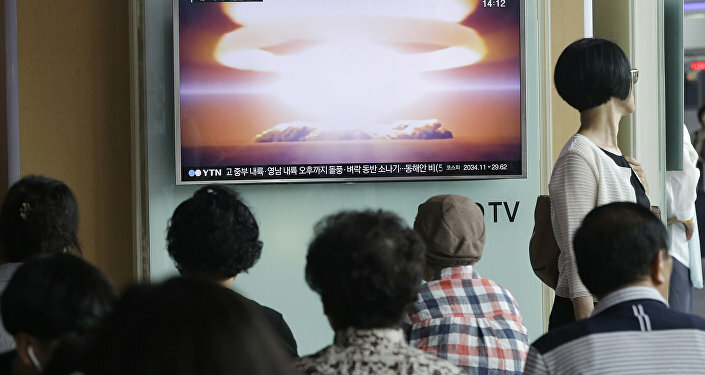 On September 9 Pyongyang claimed it conducted the successful test of a nuclear warhead, which is believed to be the fifth and largest blast since Pyongyang began pursuing nuclear and ballistic missile programs. The UN Security Council condemned it as a repeated violation of its resolutions. On October 14, North Korea reportedly carried out a failed test of the Musadan intermediate-range ballistic missile near the northwestern city of Kusong.